Please note, you must meet all of the above eligibility requirements in order to apply for the grant. If you do not, your application will be disqualified. Apply now through August 31, 2017. For this year’s Teen Tech Week, the Willmar Public Library will be implementing a virtual reality (VR) program for teens. Through YALSA’s Teen Tech Week Grant, the library was able to purchase an HTC Vive, green screens, and several Steam apps for teens to test out. VR @ the Library will be a two-part program. On the first day, members of the library’s Teen Advisory Board (TAB) will teach their peers about VR and show them how to use several Steam VR apps. The teens will then get to choose which VR app they would like to try and each of them will get to take a turn in using the equipment. For the second, four-hour program, twelve registered teens will get twenty minutes each to test out the app(s) of their choice. Through this program, the library hopes to give teens the opportunity to experience, learn and create with the Steam VR apps Job Simulator, Tilt Brush, Sound Stage, The VR Museum of Fine Art, and Google Earth VR. TAB members selected these apps for their universal appeal and potential to provide quality educational experiences: Job Simulator allows teens to try out four different jobs that were available before the fictional robot apocalypse, giving them a taste of what life could be like in their future careers, albeit with a humorous twist; Tilt Brush allows teens to create their own virtual world with the touch of a brush, allowing them to express themselves creatively; Sound Stage lets teens become their own DJ, making and manipulating music to create their own sound; The VR Museum of Fine Art allows teens to browse through a museum of real life art and learn about the history of each piece; and Google Earth VR lets teens travel to and explore places around the world that they may not otherwise have the chance to visit. To prepare for the program, TAB members will install and test out the VR equipment and software to get a better idea of what the VR apps can do, what age range each app is suitable for, and estimate how much time it will take for a person to complete an activity in each of the apps. The teens will use this experience to help set up the equipment on the day of the program and to help their peers use the apps if they are not sure what to do. The library hopes that this program will provide a fun and safe environment for teens to explore VR technology together, while still having a quality educational experience. The library also hopes that this VR experience will make teens feel more comfortable with using new technology and inspire them to try out other new technologies as well. The impact and success of this program will be measured through the number of participants as well as by the teens’ evaluations after both programs and at the monthly TAB meeting. Evaluations will be assessed by the TAB, teen services librarian and head librarian. The library would like to use the evaluations to plan subsequent VR programming at the library that reflects the interests and needs of the teens who attended this program. The teens have been talking about implementing VR programming since early last year and are so excited to get started during Teen Tech Week. 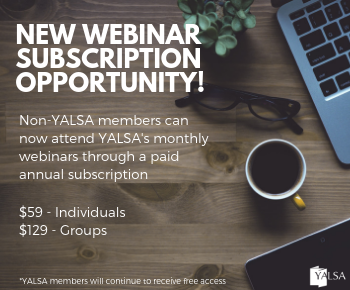 Thank you again to YALSA for making this programming possible. Emily Sovell is the Teen/Young Adult Services Librarian at Willmar Public Library. The Willmar Public Library is the largest of a 32-library consortium, which is part of the Pioneerland Library System. Willmar is located 90 miles west of Minneapolis/St. Paul, in West Central Minnesota. 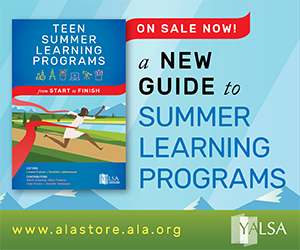 The applications for YALSA’s 2017 Summer Learning Resources and Teen Summer Intern grants is now open. Twenty summer learning resources grants, worth $1,000 each, will be awarded to libraries in need and will allow them to provide resources and services to teens who are English language learners, struggling in school and/or who are from socio-economically challenged communities. Twenty teen summer intern program grants, also worth $1,000 each, will be awarded to libraries to support the implementation of summer learning programs while also providing teens a chance to build hands-on job skills. TTW Grant Winner: Let’s Play! I was one of the lucky few to win a Teen Tech Week grant this year! I am excited, but I have to say, my teens are even more excited than I am. Why? Because we’re starting a Let’s Play club! ‘Let’s Play’ is a web video genre in which people record themselves playing video games, and then post their creations online for others to view. Our teens will be involved in, and in many cases, in charge of, every aspect of the process – channel branding, game selection, set-up, digital and audio editing, uploading, creating metadata and captions, and social media marketing. There are a lot of people creating Let’s Plays, and a lot of variety within the genre. Some use face-cams, others are just voice-over narration and commentary. Some play retro games, while others showcase games long before they’re released. Some play anything a fan will send in, while others ‘speed-run’ by taking advantage of glitches and expertise to finish a game as quickly as possible. Many Let’s Players also livestream for hours on Twitch.tv to live audiences of followers and paid subscribers, posting these to Youtube in addition to their normal content. Below are some Let’s Players to check out if you’d like to learn more about this ever-growing genre of online video! Felicia Day’s Co-Optitude was my introduction to Let’s Plays. Hosted on Geek & Sundry, Felicia plays mostly retro and indie games with her brother Ryon, generally very badly and to much hilarity. The production value is high – the set is remarkable and there is a lot of editing involved, including clever use of video game sounds to bleep any mature language. Zach Drapala is GhostRobo, a Let’s Player who often gets early access to a variety of highly sought after games. His full walk-throughs are full of gratitude for his viewers, and he often gives away copies of the games he’s playing to lucky subscribers. His second channel, GhostRoboJr, focuses on games specifically for kids. Holly Conrad is a professional cosplayer and special effects artist, appearing on the short-lived Syfy documentary series ‘Heroes of Cosplay’. As Commander Holly, her infectious sweetness seeps through as she plays a variety of games with friends. She also plays a lot of World of Warcraft, and posts the occasional real-life video featuring her cosplay and other creations. The hankgames Youtube channel is the Let’s Play home of bestselling teen fiction author John Green. Once upon a time, his brother Hank created this channel and played a variety of games, with John occassionally joining him. In 2011, John began playing the yearly FIFA (a soccer league) game, and since that time, the channel has mostly featured this (Hank has an occasionally-updated channel now called GamesWithHank) Ever the storyteller, John has back stories for most of the players and continues to update viewers on their news, from the arrival of babies to marriages and more. He also answers a variety of questions, often passed on from donors to the annual Project for Awesome. Although originally he played as the Swindon Town ‘Swoodilypoopers,’ in 2014 he was ‘fired’ as their ‘manager’ and instead began playing as the AFC Wimbledon ‘Wimbly-Womblys’ (neither of these names are accurate). It’s a long and hilarious story (you can read more here), but John’s love of the actual AFC Wimbledon team in England has inspired him to give the proceeds of this Let’s Play channel to the team, most of which supports the youth team. There is now a Nerdfighteria billboard in the AFC Wimbledon stadium, and the Nerdfighteria logo is on the official team uniform. As the audience for Minecraft tends to be younger, the majority of Let’s Players who play Minecraft tend to keep their channels clean of any mature language. These folks often have some of the largest audiences, with subscribers in the many millions. Welcome to the Sky Army! Adam Dahlberg, otherwise known as Sky, specializes in Minecraft roleplay, creating and playing in specially created Minecraft environments (also known as ‘mods’) that look like superheroes, other video games, etc. Dan Middleton is a British Let’s Player who also focuses on mods and other mini-games and challenges. In 2015 he received a Nickelodeon Kid’s Choice Award. Joseph Garrett is a Let’s Player from the UK who uploads “a bunch of different games, including a new Minecraft video, every single day.” Known mostly as Stampy, he often works with Let’s Player iBallisticSquid and recently published his first book, Stampy’s Lovely Book. David Spencer, also from the UK, posts Minecraft Let’s Plays from both the XBox and PC versions. 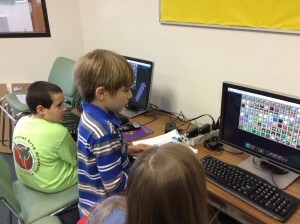 He often attempts to complete challenges created by his best friend, Stampy. Together they have a joint channel, Magical Animal Club, where they post a variety of content including a series of videos on tough topics such as bullying, confidence, and online safety. Jordan Maron, otherwise known as Captain Sparklez, plays a variety of games but mostly focuses on Minecraft and is well-known for his animated Minecraft videos that parody popular music. Minecraft Style was featured in a variety of tech publications. He also maintains a second channel where he posts his Minecraft livestreams. You can’t really talk about Let’s Players without mentioning the big names: Rooster Teeth’s Achievement Hunter (their show Rage Quit is the epitome of what it’s like to be frustrated with games, and a personal favorite), Markiplier, PewDiePie, Dodger, Best Friends Play, and Game Grumps, to name just a few. Your teens are watching at least some of these gamers (and will probably debate the merits of their favorites), but I must stress that these are not channels you can watch as a group in a library setting. They are important names to know, but remember: the average age of a gamer is 35. These are adults creating things for themselves and mostly for other adults. If swearing in all cases and a lot of mature language and situations in most are not things you are comfortable with, stick with the channels I’ve highlighted above. Sarah Amazing is the teen librarian at the Warren-Trumbull County Public Library. She blogs at zen-teen.com and falls asleep almost every night to the sounds of Danny and Arin’s colorful commentary on Game Grumps. Our program for Teen Tech Week 2016, “Read It, Review It!” will encourage teens to share what they have been reading with the community through video book reviews posted on the Dickinson County Library YouTube channel. The teens will be directly involved in all aspects of the video creation process. We will be encouraging them to read new books and then prepare a review of the title(s) they’ve read. They will be in charge of lighting and directing their own videos, editing the footage, posting the final product to the Internet, and advertising these new reviews with their friends, family, and community. 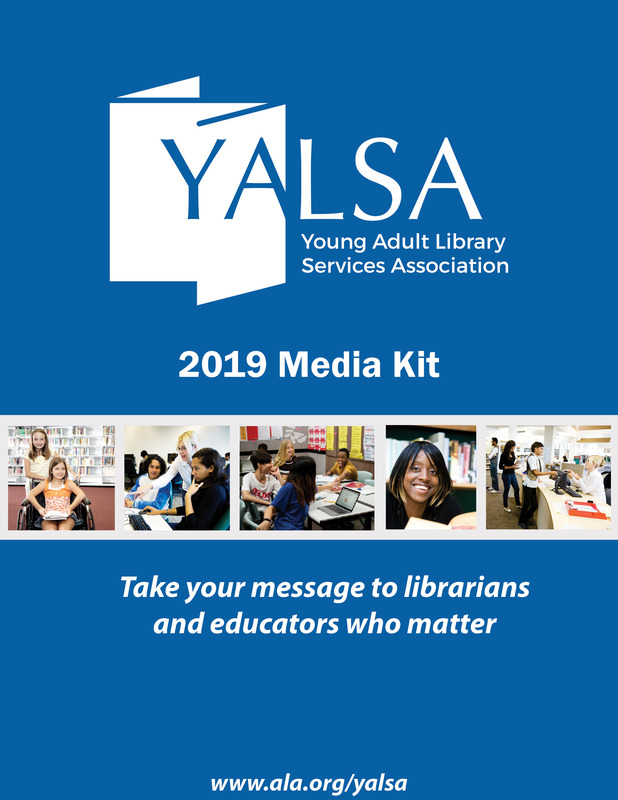 Receiving the grant sponsored by Best Buy and YALSA is going to allow us to provide an amazing opportunity for our area teens. We’ve already begun purchasing the equipment we will be using, including a new camera, tripod, microphone, lighting, backdrop, high capacity SD card, and carrying case. We have also begun brainstorming on the various props we can make available for teens to use in their videos. While we were prepared to run this program using a staff-loaned flip camera with an improvised shower curtain backdrop, we are so excited to be able to upgrade thanks to the $1000 Teen Tech Week grant! Software is being installed as I type, and before long we will be ready to roll – literally! In addition to being fun, the experiences the teens gain through these videos will promote confidence and development of public speaking skills that are beneficial in all aspects of their future – school, career, and general life situations. The technology they will learn can be applied in many scenarios including: high school projects, college assignments, career preparations, and for fun personal uses. This project will also promote teamwork, as they will be responsible for assisting each other with their personal videos, creating a sense of community. 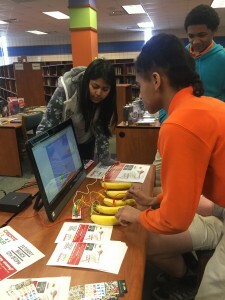 Wicomico Public Libraries are gearing up for Teen Tech Week 2016! Our Library System serves a diverse group of young adults with our Main Library Branch in a downtown urban area, a Branch in our regional shopping mall, and a Branch in a rural small town in our county. 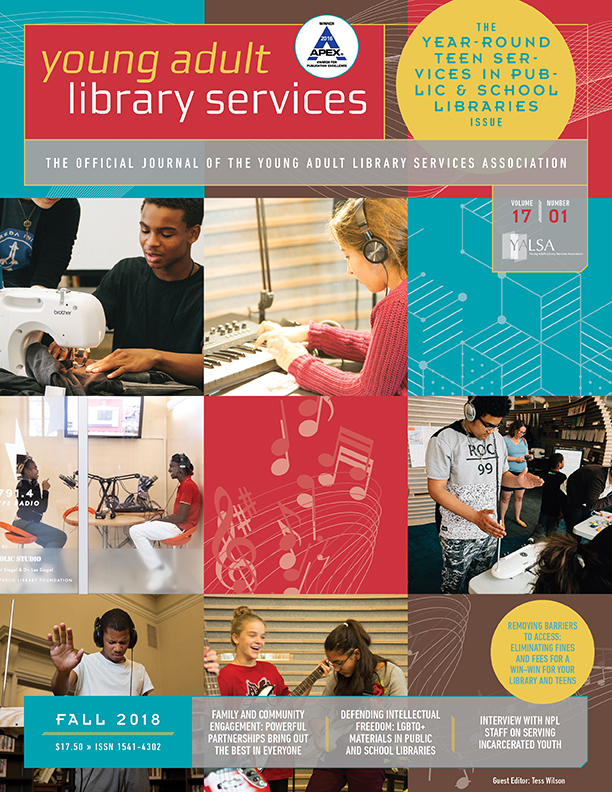 We were inspired by this year’s theme, Create It @ Your Library, and worked to design a program series that was as technologically creative as possible for all three locations. I reached out to our local team of comic writers, PLB Comics, and arranged a Creating Comics event where these writers will share the process of comic book creation from inception to completion. They will discuss script writing and how current technology has changed how comics are created and how that relates to the comic creator. The second half of the program will have teens write a four-panel comic. Then attendees will switch and draw from another person’s script while constantly communicating and asking questions to help reinforce the collaborative nature of the comic creation process. Lexington Public Library’s “Create It at Your Library” Teen Tech Week program was designed to get kids between the ages of 11-18 interested in all aspects of STEAM learning using JoyLabz MakeyMakeys, small circuit boards that allow anything that conducts electricity to become the arrow keys, space and click buttons on a computer. Our first event was prepared in partnership with the local middle and high schools. 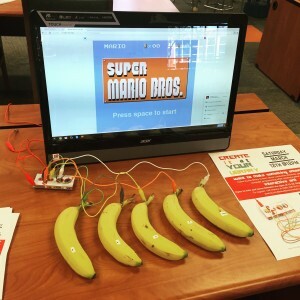 We connected the MakeyMakeys to bananas that were then plugged into a computer running Super Mario Bros. We explained that electrical currents work in a circular pattern through a ground wire plugged into the MakeyMakey; this allows a current to run through the computer and conductive items, so the kids were able to control Mario by tapping bananas! The Putnam County Library System – headquartered in Palatka, FL – will be celebrating the theme of “Create it at your Library” with an Invention and Creativity Convention March 4-12, 2016. Called Create Con, this competition is meant to showcase and award teen talent and encourages research, creativity, experimentation, and innovation. The Putnam County competition will start on March 4th at the Melrose Branch and conclude March 11th at Interlachen Branch Library. One talented teen (ages 13-18) will win the First Place Prize for the System: a 7” Kindle Fire and a $50 gift card. There is a also Tri-County (Putnam, Alachua, and Levy counties) competition that takes place at the Alachua County Library District Headquarters on Saturday, March 12th. The Grand Prize (awarded to the top teen from all three counties) includes a 3Doodler Pen and a $100 gift card. 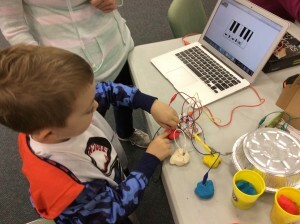 There will also be a school age division (ages 6-12) held locally with special prizes including a Makey Makey Kit. There are many ways to compete including 1) creating a prototype or drawing of an original invention, 2) writing a research paper on a famous inventor or invention, or 3) a showing a creative project (artwork, website, app, game, etc.). Competitors are expected to showcase their work on a tri-fold display board. 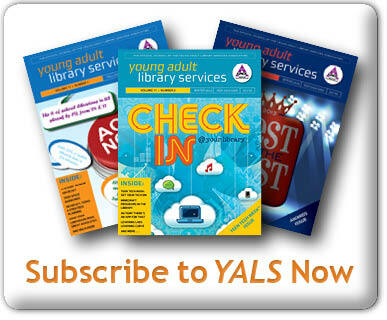 Create Con applications and guidebooks can be picked up at the library. Applicants are encouraged to contact Jeremy Yates, Special Projects Coordinator, at the Headquarters Library. Area youth are also encouraged to attend monthly “Technology Petting Zoos” at each of the five branches of the Library System. 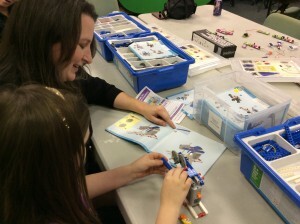 They are so named because participants are encouraged to touch, play, and experiment with maker space equipment including 3D printers, robots, electronics, kits, video and audio equipment, and more. The library has also started hosting Maker Boot Camps at the Headquarters Palatka Library. These 1-2 hour courses will cover these like 3D Design, Basic Circuitry, and Intro to Robotics. They will make their way to the branch libraries this summer. In the meantime, maker kits are being assembled for patrons to check out at the Circulation Desk for use inside the library. These will include Snap Circuits and simple robot kits.